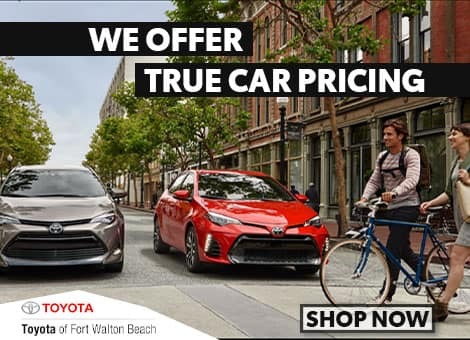 Find the new 2019 Toyota Tacoma in Fort Walton Beach, FL now. This truck is both well-defined and versatile in its potential. Local Florida drivers can visit our dealership and learn all about the trim levels available in this impressive new pickup truck. The updated Tacoma extends Apple CarPlay and Android Auto connectivity, making the cabin a welcoming place for drivers. Find us in Fort Walton Beach, FL for a unique Tacoma buying experience! 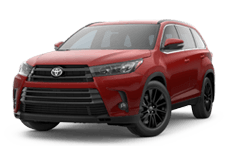 Toyota cars, trucks, and SUVs are designed around driver safety. The superior systems available in the new Tacoma are as follows: the Smart Stop Technology®, Brake Assist, Traction Control, Vehicle Stability Control, and more. 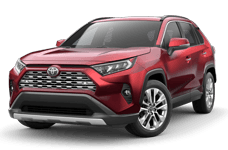 Toyota Safety Sense™ is a standard suite that comes with every Toyota Tacoma lease or purchase, as well as ToyotaCare. When your truck provides an Anti-lock Brake System, Electronic Brake-force Distribution, Pre-Collision System with Pedestrian Detection, Dynamic Radar Cruise Control, and eight airbags, you have are never worried about a thing. The new Tacoma isn't like its competition. Take its towing ability for example. The Tacoma offers towing ratings that range from 3,500 to 6,800 lbs. The Tacoma also provides an EPA estimated 20-mpg in the city and 23-mpg on the highway. The truck also features a 2.7L 4-Cylinder Engine. People like models like the Tacoma because they are reliable. 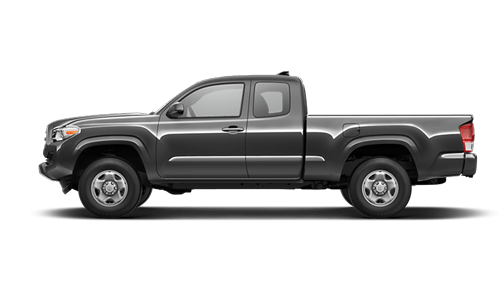 Call our professionals to learn more about our Tacoma lineup or visit us online.